There’s something about stripes that feels very French. 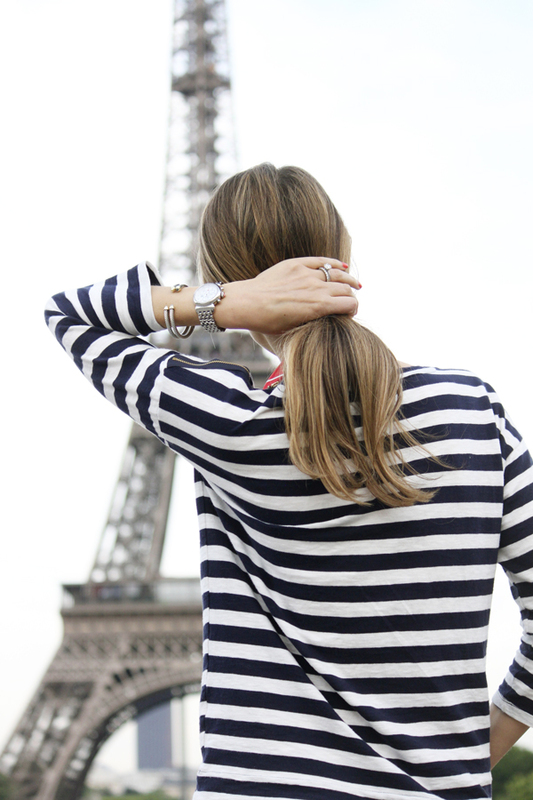 So when it came time to pack for our trip to the land of couture and croissants, I said oui to all things striped. A little research showed that my proclivity to packing horizontal lines was warranted. French sailors had been sporting the look for decades, then Coco Chanel put her spin on them and the rest is history. 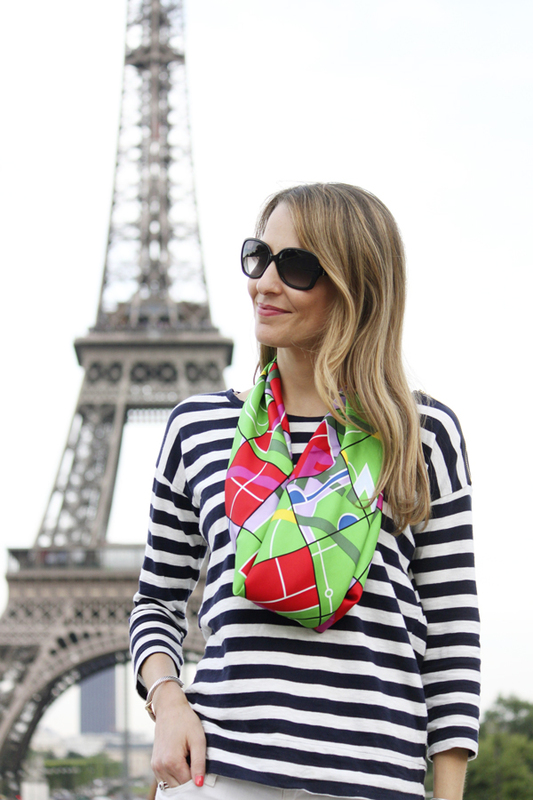 For our visit to the Eiffel Tower, I took another fashion cue from the French and tied on this silk scarf. But when it came to my kicks, I kept it all-American with my Chuck Taylors. Because in addition to stripes, my other packing essential was a pair of shoes that could comfortably take me all over Paris. Gap shirt. Old Navy jeans. Hermès scarf. Converse shoes. David Yurman bracelets. 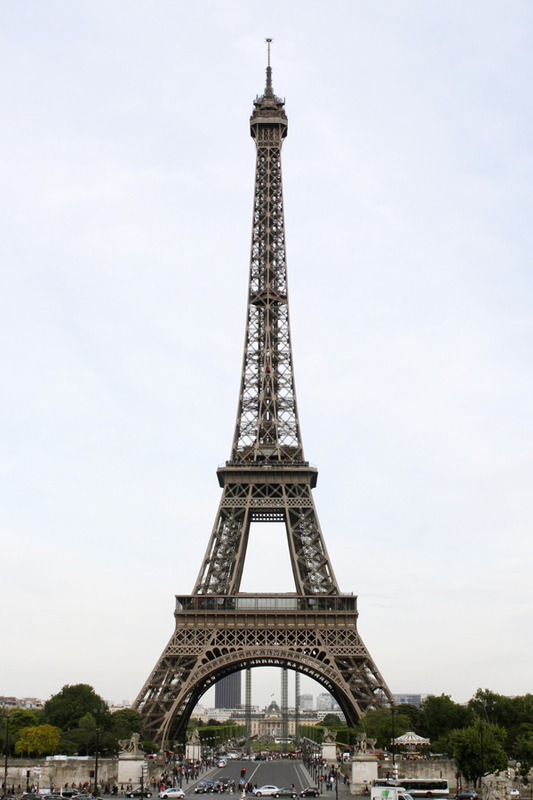 See the highlights from our trip, and learn all about how the French got their stripes!